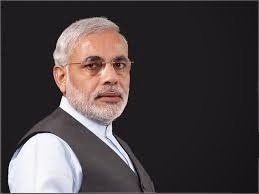 Shri Narendra Modi today assumed office as the Fifteenth Prime Minister of India. Shri Narendra Modi offered floral tributes to Mahatma Gandhi in his office at South Block, and assumed charge of the office of Prime Minister. Shri Narendra Modi as an able administrator, has focused on good governance initiatives as well as development to bring about qualitative change in the lives of the people. He has adopted the guiding principle of “Minimum Government and Maximum Governance” and also rationalization with a commitment to bring a change in the work culture and style of governance. He held a short briefing with the Principal Secretary to PM Shri Nripendra Mishra and senior officers in PMO. Senior PMO officials welcomed and received Shri Narendra Modi, when he arrived at the Prime Minister’s Office in South Block.